Typically Australian County albums tend to be a mixture of original compositions and covers of Nashville hits. Second Time Around is no exception but it is quite an enjoyable album. Adam’s expressive baritone makes for pleasant listening, and the backing on this album is solidly country. Unfortunately, my digital download of this album did not come with lyric sheets or, songwriter credits or musician credits. If I don’t mention the songwriter, that means I don’t know who wrote the song, but it is likely that either Adam or another Australian artist would have the songwriting honors. The album opens with “He Lives My Dream”, an oft-told story about the restlessness of the itinerant musician. In this case the singer’s bus breaks down and while waiting he sees a young family exiting church services. I’m usually not that fond of narrations, but the opening narrative sets up the song nicely. “Been There Done That” finds the singer seeing an ex-girlfriend at a barroom. She tries to chat him up – but this time he’s not having any. “Tequila Sunrise” is Adam’s cover of an Eagles’ song. If you liked the song generally, you will like Adam’s rendition, which is laid back and melodic. “I think I’ll Have Another Bourbon” is a kind of generic drinking song, a slow ballad about a woman who has left him and who he can’t get over. Some interesting harmonica work dominates the bluesy backing. From this point forward Adam covers some of the greatest songs in the American country music canon. Adam is no Merle Haggard but “Fightin’ Side Of Me” is effectively presented, as is “Sad Songs And Waltzes”, a song written by Willie Nelson but perhaps better remembered from the Keith Whitley cover version. “Big Bad John” is one of those songs that everyone over the age of fifty-five has heard, whether or not they listen to country music. Adam’s version pales in comparison to the Jimmy Dean original. The song is not a novelty song, but there is a certain ambiance to the song that no one else has ever managed to duplicate. Better is “Hello Darlin’“, Adam’s cover of the Conway Twitty classic from 1970. Adam’s deep baritone seems expressly made for the song. I said, “I know, ain’t she great, Dad? Covering a Vern Gosdin classic is an impossible task as there is no way you can sing the song better than “The Voice” did. That said, Adam does a very nice job with “Is It Raining At Your House”. I do not know the source of “I’d Be Worse off” but I really like the song with kind of a folk-country ballad with some nice harmonica accompaniment. I don’t know if this a single “Down Under” but if it wasn’t, it should have been. The album closes with the Don Williams classic “I Believe In You” . The arrangement is a clone of the Don Williams original but with a bit more steel guitar. To an American listener, this album may feel too familiar, but please remember that Adam Harvey was recording the album for Australian audiences, to whom these may have been mostly new songs. At any rate, it is a good album, Adam sings well, I like the band and the arrangements and this would be in the B+ / A= minus range for me. The second track, “Almost Nearly, But Not Quite Plumb” is an up-tempo novelty that has Hank sounding quite a bit like Jimmy Dean. Track five of Side One is “I Can Take Anything” a Merle Kilgore-penned ballad; Merle would become very important in Hank’s career, but at this point in his career he was a third tier country artist who was better known as a songwriter. This slow ballad has the full Nashville Sound treatment. Side Two opens with a killer version of the Jody Reynolds classic “Endless Sleep”. The song barely cracked the top fifty for Hank. Next up is a track from John D Loudermilk (a first cousin to Ira & Charlie Louvin) titled “You’re Running My Life”. I’ve been married too long to comment on this song. This is followed by a Mitchell Torok composition “Pecos Jail” . Both songs are good album tracks but neither would have made a good single. “In The First Place” is a bluesy ballad that is nothing more than album filler. Hank Jr. had a hand in writing “I Went To All That Trouble For Nothing”. The song has a smart country blues arrangement somewhat reminiscent of the arrangement Jerry Kennedy devised for Tom T Hall. I would have liked this as a single. Side Two of the album closes with “Going Steady With The Blues”. The arrangement contains some brass and has the feel of a rock and roll ballad. I like the song but I’d like it better with a more bluesy arrangement. Very few of these tracks are available in any digital format. “Standing In The Shadows”, “Endless Sleep” and “In The First” place are on the MGM Living Proof Box: 1963-1975, and a few of the songs show up on YouTube. Hank is still finding his way with this album, but the Nashville Sound trappings are subdued and Hank is in good voice. This 1985 song was the biggest hit (#24) for a bunch of talented musicians, some of whom went on to bigger and better things. Lloyd Maines is a leading steel guitar whiz and record producer – his daughter is Natalie Maines of the Dixie Chicks. Three other brothers of Lloyd’s were in this band, as well. This 1988 slightly re-titled cover of Warren Smith’s big hit from 1960 was to be Barbara’s last top ten recording. It is one of my favorite Barbara Mandrell recordings. 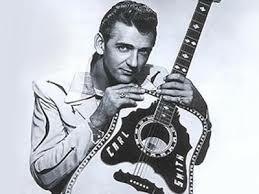 Not really – Dean had recorded many country songs to great effect, although never with country accompaniment. The album from which this 1983 song was taken, was actually the last album the 66-year-old Dean would record after a hugely successful career as a pop singer, movie star , television star and stage performer. In his time very few performers were bigger stars than Dean Martin. Conway Twitty wrote this song and performed it with Dean. It wasn’t a huge hit (#35) but it was an interesting ending to one of the greatest careers in American entertainment history. Wayne Massey was a soap opera heartthrob and his wife Charly was stunningly attractive. This 1986 hit was one of two top tens the duo would have, although Charly had a very successful career as a solo act. 2010 began on a slow news beat, as the top story in January was the buzz surround the Grammy’s at the end of the month. While Taylor Swift continued to define the term superstar, several more months passed before the month of May brought a bevy of headline-grabbing stories from Music City. First was Chely Wright’s announcement in People magazine that she was, in fact, a lesbian. This was followed shortly by Wright’s first album of new material in 5 years, the frank and folksy Lifted Off The Ground. Also that same week, Nashville was hit with record rainfall that flooded the city’s Cumberland River and devastated the downtown area, as well as temporarily closing the doors at Opryland. We also saw Lady Antebellum emerge as a retail powerhouse this year, while we said tearful goodbyes to greats like Carl Smith, Hank Cochran, and Jimmy Dean. Finally, Blake Shelton and Miranda Lambert announced their engagement and emerged by year’s end as the newly crowned power couple of country music. Carrie Underwood tied the knot, while both Billy Ray Cyrus and Randy Travis looked to untie their own. These are just a handful of the events that make up the timeline for 2010 in country music. But what about the music these media darlings gave us this year? Like everybody else, we’ll be telling your our respective favorites of the year in the coming weeks. In the meantime, you can head over to Country Universe to discuss your own favorite songs and albums from this year. Since CU has the corner on the music discussion, we’d like to invite you to share your favorite headline from the past year. What stories will you remember five or ten years from now? What one event do you think will define 2010 in country music for the history books?